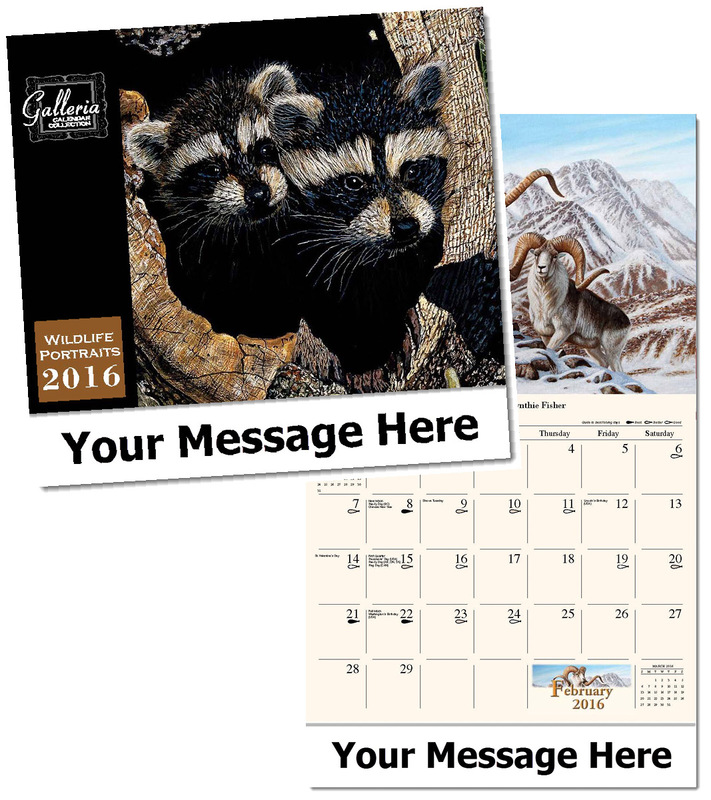 Personalized American Wildlife Calendars Custom Printed in Bulk. Promotional, Very Inexpensive. Lowest prices in USA and Canada. "Early Bird" special! 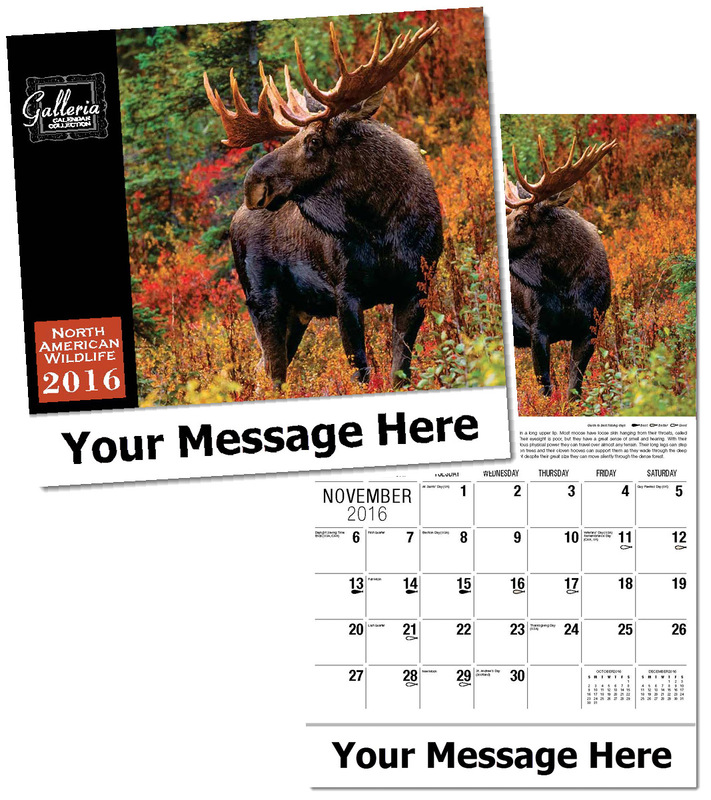 Bulk discount North American Wildlife calendars, personalized with your custom imprint. Stunning, up-close photographs of all sizes and shapes of North American animals. The best days for fishing are shown each month. Monthly text provides fascinating insights into the lives and habitats of the animals featured. Lowest price in USA and Canada for wholesale American Wildlife calendars. Our high quality, low cost personalized calendars include both American and Canadian holidays. See our "Early Bird" deep discounts on our Price Table below. American clients pay no taxes. Free artwork design and free proofs!